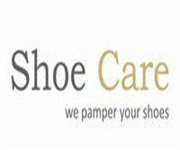 One of India's first "Shoe Laundry" service, successfully run for 4 years with existing corporate tie ups and immense need in the market. We are selling our company due to lack of time. We are looking for entrepreneurs with passion to grow it to the heights we had planned for it. Long term plans, benchmarks and short term objectives for the business are already set. Also due to the freshness of the idea investors can be easily attracted to scale it up.